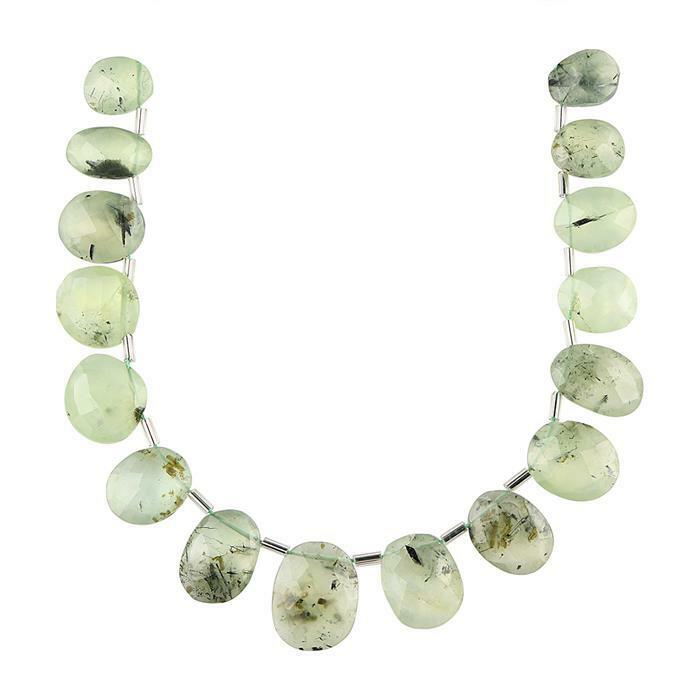 106cts Prehnite Graduated Faceted Fancy Shape Approx 11x9 to 17x12mm, 20cm Strand. This strand of wonderfully faceted Prehnite is the perfect accompany to your collection. 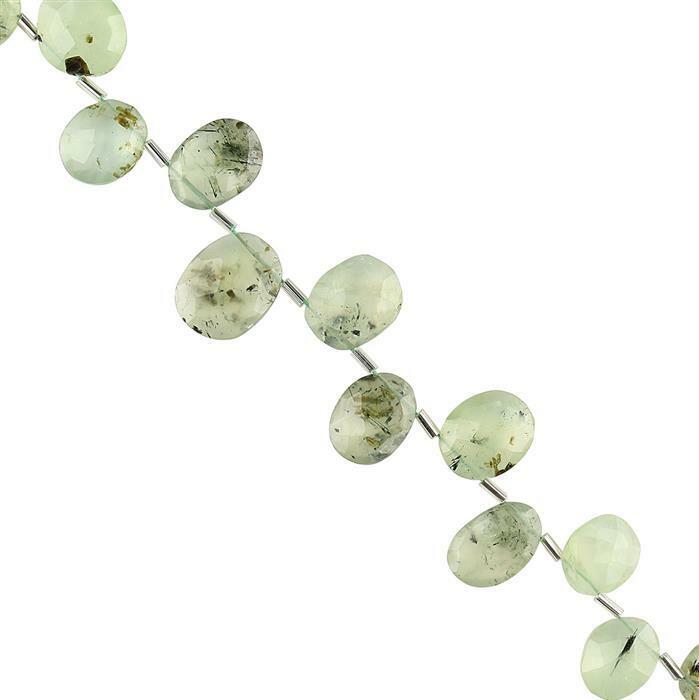 84cts Prehnite Graduated Faceted Barrels Approx 8x4 to 12x7mm, 18cm Strand. 138cts Prehnite Multi Shape Cabochons Assortment.